Real Techniques have really expanded their range of Miracle Sponges recently and I really wanted to give you guys a good overview of the range. Luckily, I was sent this fantastic new 6 Miracle Sponge Set ($49.99). It represents pretty fantasic value for money because, to buy these all singly would cost well over $70. This certainly isn't the first of these sponges I have tried and I have enjoyed them through the years. 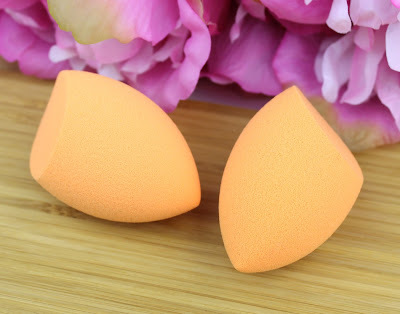 Out of the many blending sponges I have tried, this is definitely the closest to my all time favourite Beauty Blender ($28). So many of them have that weird slippy latex feel whereas this one and the Beauty Blender have the nicest porous surface that perfectly blends makeup. Considering you can always pick these up on sale and they are way more affordable and accessible than the Beauty Blender, I love this sponge. Plus, I never really notice a difference in the end product when I use it instead of a Beauty Blender. 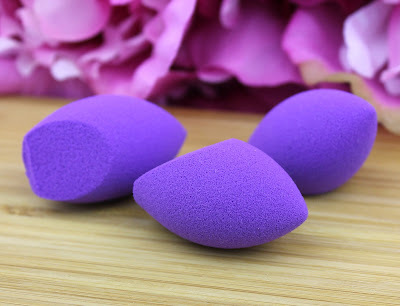 For an everyday basic makeup look I would probably just use the larger Miracle Complexion Sponge but I really do like these smaller sponges for more detailed work around the eyes. It has a slightly more latex feel than the larger sponge as well as smaller pores but it still blends really well. I really like the basic pointed end but the small flat surface is really good too because, thanks to the flat top edge, it fits in really nicely beneath the eye. I do think these are maybe a bit pricey because they are so small but again, they are way more affordable than the Beauty Blender alternative. This sponge is one I just wasn't crazy about. It isn't that it is bad, I just don't see the point of it. It doesn't really do anything that the orange Miracle Complexion sponge doesn't and it feels a little weird to use. It just doesn't feel ergonomic and intuitive in your hand like the others do. It has a small teardrop shaped surface on the smaller end that you can use to apply highlighter to the tops of the cheekbones and contour the nose. The larger flat surface on the other end is for contouring under the cheekbones. If you do a lot of cream contouring, you might find a use for this but I find that the tapered end of the Miracle Complexion sponge is small and precise enough to do everything I need. 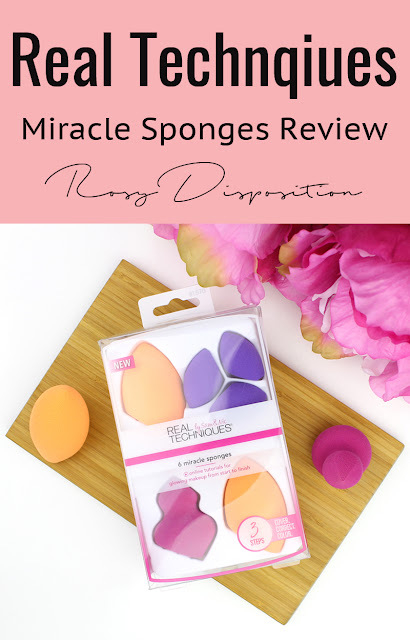 So there you have my run down of the Real Techniques Miracle Sponges. The only Real Techniques sponge I haven't reviewed here is the new Bold Metals Miracle Diamond Sponge ($24.99) but I am definitely going to try and hunt it down to try out for you guys too. 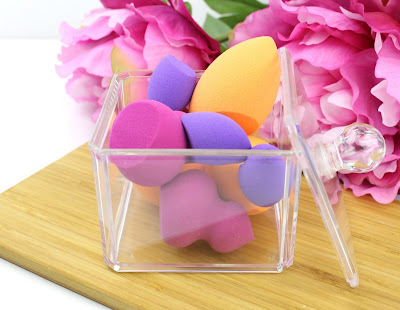 Which is your favourite makeup blending sponge? Will you be trying out any of these after reading this review? Let me know in the comments below. Disclaimer: This set was provided to me as a PR sample for review but there were no obligations to write a positive review. As always, my opinions are my own. 8 comments on "Real Techniques Miracle Sponges"
I have looked at these for a while now, and wondered ... thank you for a great review. I've always wanted to try the Real Techniques sponge but I haven't done an iherb haul in ages! The pink one does look a bit funky... I think I would prefer the main Orange to be honest! This sponge set looks awesome. I am a big fan of the original real techniques sponge. I'm curious to try those small sponges, not sure how i'd like them because i honestly enjoy using my beauty blender to blend out concealer. But this set looks like a great way to try them. I might have to try them out! You really should, especially the original orange one.